Rea is a series of double beds with an elegant headboard frame in rigid compact polyurethane, cold-foam flexible polyurethane and poplar plywood. 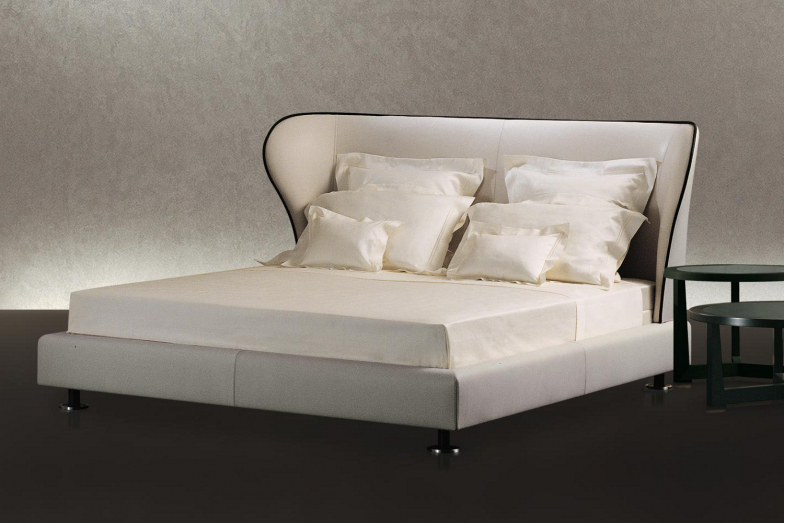 The bed base is in ultra light fillet wood covered with fibre and corner reinforcements in painted metal. The slat base supports are adjustable and the central crossbar is in painted metal. The feet are in solid pau ferro and metal. For the headboards, a fibre quilt is available on demand. 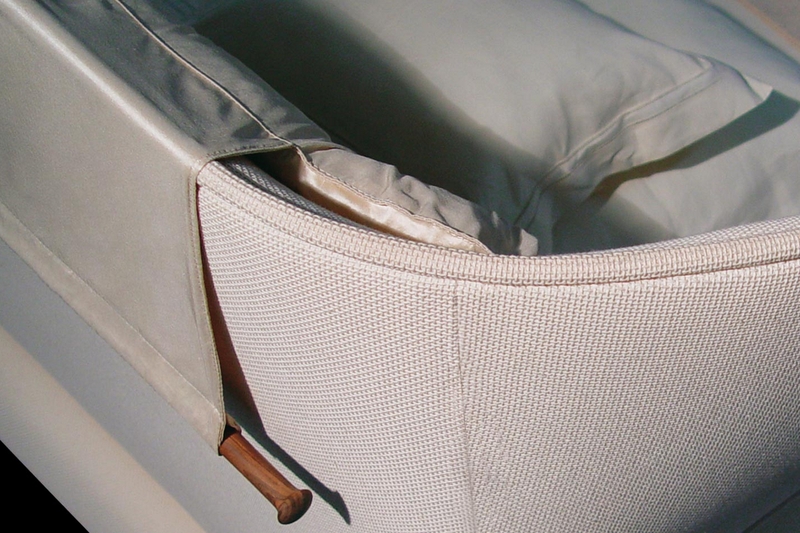 The completely removable upholstery is in fabric or leather.